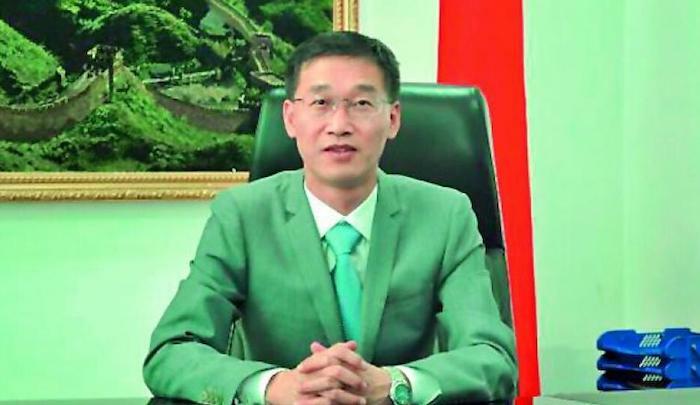 Jihad Watch : In Pakistan this May, Chinese ambassador Yao Jing gave an interview in which he assured his hosts that the Chinese government puts no restrictions on Muslims. As for the ambassador’s mention of the “new Qur’ans” distributed by the Chinese government, it should be noted that Muslims have been required to hand in their own Qur’ans to the government, if those copies were published before 2012. The reason for this is that in 2012 the Chinese government prepared “new” Qur’ans, heavily censored, with the “meaning’’ of the verses that remained annotated by government experts so as to lessen their anti-infidel message. The only Qur’ans now allowed are the versions published by the government. When the Chinese ambassador to Pakistan offered his preposterously sanitized version of how his government treats Muslims, he had no fear of being cross-examined. For he knew that Pakistan needs China, both as an economic partner, and as a military ally — China supplies 70% of Pakistan’s weaponry — and the Pakistani government is not about to contradict the official Chinese line. The Chinese are, in stark contrast to the fearful and appeasement-minded West, unafraid to come down hard on Islam. And the Pakistanis do not dare to protest. The reason the ambassador lied is simple: because he could.